Let us come before His presence with thanksgiving;let us make a joyful noise to Him with songs of praise! 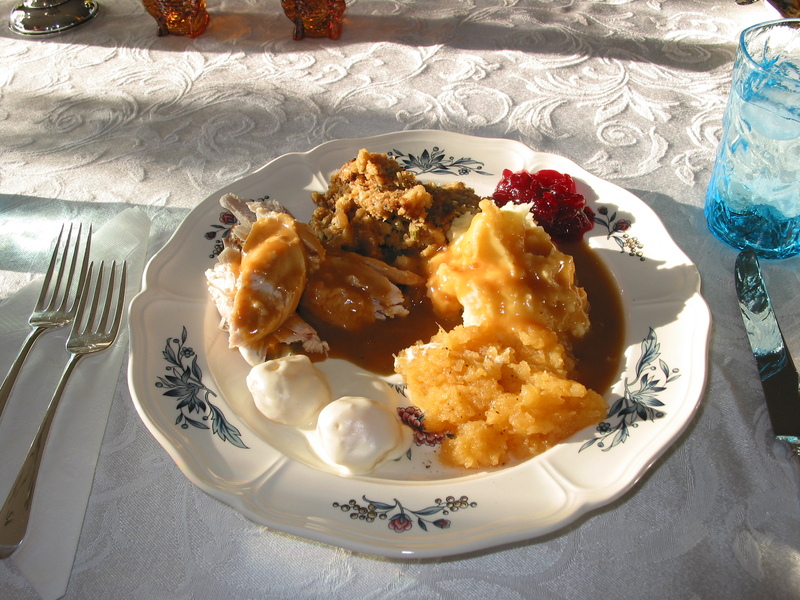 So much to be thankful for…and the turkey and dressing aren’t too bad, either! Have a wonderful Thanksgiving. Preheat oven to 350 degrees. Spray casserole dish with butter-flavored cooking spray. Combine all of the ingredients in a saucepan, using only 1/2 cup of the shredded cheese. Warm just until cream cheese is melted. Pour corn mixture into casserole dish, and sprinkle with remaining 1/2 cup of Velveeta. Place in oven, and cook for 25-30 minutes. Let cool for several minutes before eating. Enjoy! Everyone loved my casserole. During our second Thanksgiving dinner, my sister-in-law fixed her own version of this luscious casserole, using regular whole kernel corn, and shredded cheddar cheese. It was equally delectable. Any corn lover will go corn-crazy for this casserole. In our home, Thanksgiving is a real family affair, with everyone pitching in to do his part–from perfect and spicy deviled eggs, my brother Steve’s special contribution, something I never could quite master–my peeled eggs look hideous, more like a science project gone bad, to carving the turkey so everyone gets just the right piece, which my brother Rich does so well. The monumental task is not so monumental, after all. And, the end result is a table full of simply delicious and comforting food. I am truly thankful for the bountiful spread we’re so blessed with on our Thanksgiving table. But, I’m even more thankful for the loved ones sitting around the Thanksgiving table. And, that the Thanksgiving feast comes only once a year, which gives me just enough time to take off some of this weight before next Thanksgiving rolls around . Hot Flash of Genius Blog at WordPress.com.